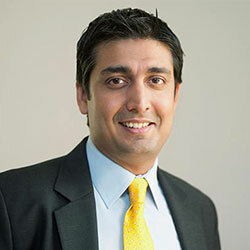 Rishad is the Chief Strategy Officer & Member of the Board, Wipro Limited. In his role he also leads the Investor Relations & Corporate Affairs functions for the company. Since joining Wipro in 2007, he has been instrumental in shaping Wipro’s strategy and aligning it with the future business landscape. Rishad has an MBA from Harvard Business School and a BA in Economics from Wesleyan University in the US. In 2014, he was recognized as a Young Global Leader by the World Economic Forum for his outstanding leadership, professional accomplishments, and commitment to society.